Cynthia Nixon is a political candidate like no other: she’s an accomplished actor, a progressive activist, a lifelong New Yorker, challenging the political establishment. Cynthia’s voice is bold and energetic, yet nuanced and approachable. The visual identity reflects her unique voice, at times stepping outside the conventions of past politicians. 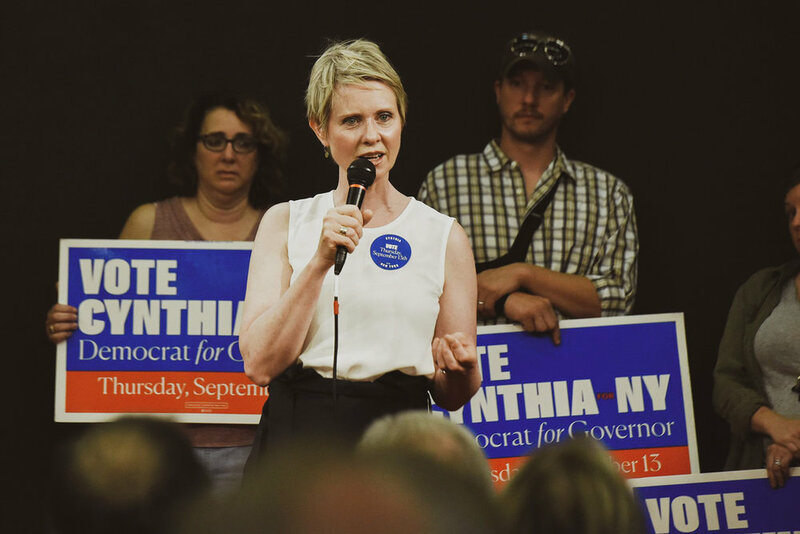 Simple visuals leverage the messaging through purity of typography: Cynthia for New York is about ideas and the core principles of progressive change. I created all of the graphics and applications as the sole designer at the height of the campaign.